Come celebrate with us this weekend! TODAY is last day to register. Toward a More Peaceful World is this coming weekend and as gentle reminder, online registration ends this evening, January 14 at 11p. My recent emails have emphasized the 2-day workshop being presented by Dr. David Berceli, but that isn’t the only great thing happening this weekend. The Living Ubuntu Birthday Celebration will be Saturday evening and registration for that is separate from the workshop. So if for some reason you can’t make it to the workshop – come celebrate with us in the evening! Net proceeds will benefit Trauma Recovery for East African Refugees in San Diego. Make sure to register by 11p tonight so you can join us in having a great time Saturday evening and help support this critically important project all at the same time. And if for some reason you just can’t be there this weekend, support the project by donating here. Two incredible events — register for both by 11p TONIGHT! 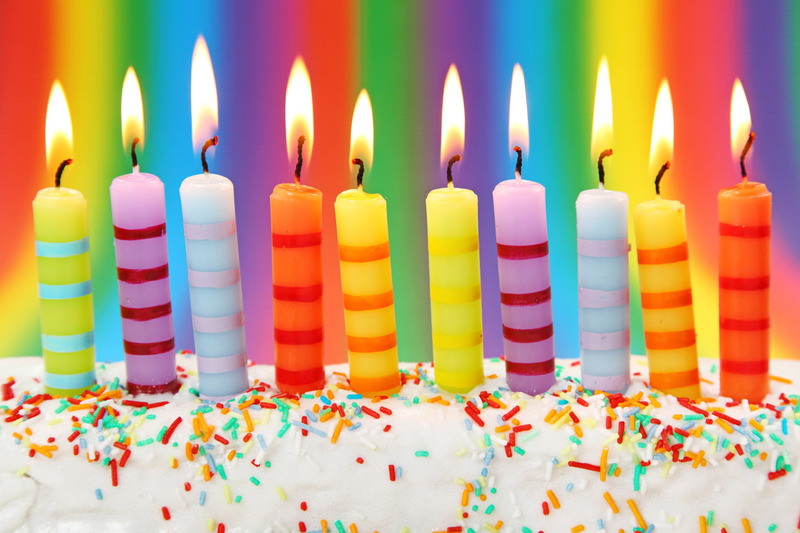 Celebrate Living Ubuntu’s 10th Birthday! Net proceeds will benefit Living Ubuntu’s Trauma Recovery for East African Refugees in San Diego. Open to the public. CEUs available for LMFTs and LCSWs. Click here for more info or to register by January 14. Much gratitude to all of our partners, donors and sponsors! External conflict comes to an end with the dawn of internal peace. Open to the public. CEUs available for LMFTs & LCSWs (see below. for details). Trauma Recovery for East African Refugees in San Diego. Coming from out of town? The Hotel Huntington Beach [hotelhb.com], 1 mile from Golden West College, has rooms available at the reduced rate of $119.00 per night. Call the hotel at 1-714-891-0123 by no later than December 16, 2014 (extended!) December 31, 2014 and say you are with “Living Ubuntu” to reserve a one- or two-bed room. This rate is not available by registering on the hotel website. Questions? Contact us: info@livingubuntu.org, . Cancellation Policy: Fees are refundable less $10.00 processing fee, if written request received by January 10, 2015. Dr. David Berceli is coming to Southern California! Our good friend and international trauma expert, Dr. Berceli, creator of Tension and Trauma Releasing Exercises (TRE) has graciously accepted our invitation to join our celebration by giving a 2-day workshop. We are very excited about this opportunity as it was meeting Dave and learning TRE that prompted us to start Living Ubuntu in the first place. We are grateful for the endorsement of the Golden West College Peace Studies Program. Dr. Berceli has spent much of his life in many of the world’s worst conflict zones teaching conflict resolution and trauma recovery. Beyond his global expertise, he brings a contagious optimism for increasing healing in ourselves and in those around us. He is uniquely suited to helping us deepen our understanding of what is required to bring about a more peaceful world. These exercises are similar to and draw from the experience and wisdom of other traditions such as: Bioenergetics, Yoga, Tai Chi and other martial arts and Eastern practices. David is unique in that he holds a solid academic and experiential grounding in therapeutic body-work and psychotherapy, including training in Bioenergetic Analysis. He integrates that with a keen understanding of the intertwining dynamics of religion and ethnic customs. This combination has allowed him to develop unique and specific processes that enable people from all parts of the world to manage and move beyond personal trauma as well as bring healing and reconciliation between diverse groups. Optional: Some of the exercises are done lying on the floor. While the workshop room is carpeted, please feel free to bring a mat or blanket to lie on to increase your comfort. Workshop content and participation in somatic exercises, while safe and effective, could lead to physical or emotional upset. Each participant needs to stay within their own physical and emotional ability. Continuing Education for LMFTs & LCSWs: Each day of workshop attendance meets the qualifications for 6 hours of continuing education credit as required by the California Board of Behavioral Sciences. Southern California Institute for Bioenergetic Analysis (SCIBA) is a BBS approved provider #PCE602. In addition to the workshop all day Saturday and Sunday, we are hosting a Saturday evening event to celebrate Living Ubuntu’s 10th birthday. This will give us a chance to have some fun together, reflect back on the past ten years, and look forward to our continued local work with some of the region’s most vulnerable populations. Over the years, Living Ubuntu has hosted many events that focused on very serious topics. Amidst living in a world where there are so many challenging issues, this full-of-heart birthday celebration will give us a chance to lighten up, connect, relax and play — well-timed after a day of TRE taught by Dr. Berceli in the day-time workshop. Questions? Contact us: info@livingubuntu.org, 949.891.2005. Ubuntu [ubuntu] n. South African: Humanity or fellow feeling; kindness. Why do we put down “feelings”? Why are we so afraid of feelings? Why so much disrespect and suspicion of them? I don’t know what happened in Margaret Thatcher’s life that led to such contempt of feelings, but she is not a rarity in her perspective. Yet, she is targeting the wrong enemy. Feelings, per se, are not the culprit. It is a myth that we lose the ability to think rational thoughts, have sound judgment, choose wisely, or are ‘less adult’ when we are emotional. Feelings are not irrational, immature or mere ‘fluff’. There would be no warm, empathic relating, or enjoyment of life without them. Feelings are a necessary companion on the path to knowing who we are and in the pursuit of compassionate wisdom. They take us beyond the dry and dull to infuse ideas with passion and ‘life’. Feelings contribute the heart and essential humanness so that we do not fall victim to the cold, calculating, slice-and dice, cut-off automaton influences of a left-brain-only, logical, linear thought process. Where we get into trouble is when we are not in a well-regulated state, or lack sufficient groundedness in our body. Then we are at risk to be unable to contain our emotional states. Feelings can become overwhelming, hi-jack our senses, and unplug the rational. Chronic stress, and unresolved traumatic experiences only make it worse. We live in a society that over-values the head at the expense of the heart. We pay too high a price if we just go along with that. To counter-balance this, able to feel our feelings and keep our heart open, we’ve got to be able to stay in tune with the body’s sensations. But how? That is what we will be working on in our upcoming body group series – Sometimes ‘a head’ just isn’t enough: Bringing the body back to life. All details are below and on our website. I hope you will join us. Why is there so much resistance to feeling our feelings? Why do we have such a love/hate relationship with our bodies? Why do we obsess about how we look rather than how we feel? Why don’t we stop to feel our tiredness? Why do we pursue success and accomplishment at the expense of relationships? The defenses we erect to protect us create the very condition we are trying to avoid. Thus, when someone builds a castle to protect his liberty, he ends up as a prisoner in his own castle because he dares not leave it. Two weeks have passed and it is clear that the tragic mass shooting that took place Friday, December 14th, in Newtown Connecticut, continues to be a national heartbreak. Within that it is obvious already that we are not all the same when it comes to how we respond to an event of such magnitude. While a father who lost his daughter appeared the next day to give a loving tribute to her and speak of coming together in compassion, others have already begun to dig their heels in on both sides of the gun control debate. Within my early learning of Bioenergetics, a type of relational, somatic psychotherapy, I was profoundly impacted by what I learned. Two things in particular come to mind for me at this time. First is how the human organism alternates between expansion and contraction. In response to pain, we have a tendency to tighten up and pull in. When it feels safe enough, we release what we have been holding, and venture back out, becoming more expansive. At times we can see these rhythmic alternating cycles take place across our society. Is the national response to tragedy to get tight, pulled in and contracted? Do we bolster up our defenses, increase our fear of one another, and rationalize that a form of me vs. you is the only way to survive? Or, is there another type of response? Is it possible for a more open, compassionate response to take over? Can we step out and draw closer to one another? Can we still find it within us to take a risk by admitting to the innate vulnerability of being human? Can we find our way to being strengthened not through armor or weapon, but by increasing our connectedness, one to another? The second thing, supported by the brilliant differentiation that comes through in the writing of Alexander Lowen, the founder of Bioenergetics, is horror. Nowhere else have I ever heard someone discuss the difference between terror and horror, let alone the difference as it is experienced within the body. While terror involves the extreme overwhelming fear that comes when our own life is threatened, we experience horror when we are witness to such a situation. Terror will activate the fight-flight survival mechanisms of the body, but that is not necessarily what happens in horror. Horror takes us into being witness to something so inhuman we cannot process it. It stuns our mind as we seek to comprehend the incomprehensible. The secondary problem with blocked horror is that we stop fully registering it. This puts us into a state to stop noticing it for what it is, and thereby to become more able to perpetrate horrors upon others without realizing it. In interpersonal situations one of the most commonplace, yet insidious forms of horror is acting out coldness toward one another, normalizing the abnormal so that disconnection is shrugged off and accepted. Why would we choose to feel our own pain if we could avoid it? I would suggest that it is only way to live. It is in registering the pain and going through it that we can land in a different place of acceptance and increased compassion. We must go through our fear together, thereby increasing our ability to stay open in spite of it. It is by increasing our connection to one another that we are best equipped to face the future, deepening our understanding of the ills we face in this life, and able to resist the temptation to perpetually build more and more, ever-thicker, well-armed defenses. [Ubuntu] n. Every human being truly becomes a human by means of relationships with other human being. Some aspects of life are hard to accept ‘as is’, yet, there are limits on what we can influence or control. In this society, we frequently go to great lengths to avoid painful realities, and we avoid the very thing that would help us reach acceptance, being at peace with ‘what is’. Far too often, we don’t grieve. the chronic seeking to win acceptance of those who have rejected us by pleasing, performing and doing everything possible to try to finally be deemed worthy, loveable and good-enough. the downcast eyes and low energy of collapse when resignation has set in. the oppressive wielding of power as a weapon, heels dug in, tightened fists and jaw defiantly refusing to give up, insisting they are going to “make it happen”. those who perceive ‘justice’ as ‘revenge’. the refusal to be vulnerable. the denial of normal human limitations. the defense against recognizing the helplessness of life and accepting the fragility inherent in living an ‘alive’ human life. We give up when we ought to hang in there, and we refuse to let go when surrender would be best. Either way, we lose. If we don’t grieve well, we stay stuck in our illusions. We fight the wrong demons. We’re chronically unfulfilled because we reach for the thing that isn’t what we really want. Underneath, we have angst. We have quiet desperation. We stay busy because we don’t know what else to do. We have lost access to the natural rhythm of life. We can’t even hear our own wise inner-knowing. We need to grieve… and… we can’t do it alone. This is what we’ll be addressing in our Winter Retreat in January. All details are below. To create an emotionally safe, secure space, we are limiting attendance to 10 people. Hope you will join us. The retreat will be in Julian, CA. Click to see more pictures of the cabin. Julian, CA. Here are the cabin details. $195 per person. This includes food and lodging for the weekend. If there is any financial hardship, please get in touch with us. We will do our best to accommodate your situation. Barbara English is a licensed Marriage Family Therapist with over 20 years of experience in the field. As a Certified Bioenergetic Therapist, she works from a mind-body perspective, and utilizes relational somatic methods as part of the process toward healing and a sense of well-being. Much of her training has focused on Early Development, Infant Mental Health, and healing after abuse or trauma. She is the co-founder and Executive Director of Living Ubuntu. Arrive at the cabin by mid-day on Friday and leave for home on Sunday afternoon. We will arrange a carpool to drive up together (leaving Friday morning). Lunch and dinner will be provided, as well as supplies for breakfast (on your own). Meals will be vegetarian, and organic as much as possible. The daily schedule will include multiple sessions of body work (e.g. Bioenergetic grounding exercises, and TRE). Most bedrooms will be shared (i.e. with roommate). To create a safe, secure space, we are limiting attendance to no more than 10 people. To register, please contact us at info@livingubuntu.org or call (949) 891-2005. Space is limited and 50% deposit is due by December 21, payable to Living Ubuntu, 1151 Dove Street #210, Newport Beach CA 92660. Why is joy, satisfaction and “aliveness” so elusive? “A body is forsaken when it becomes a source of pain and humiliation instead of pleasure and pride. Under these conditions the person refuses to accept or identify with his body. He turns against it. He may ignore it or he may attempt to transform it into a more desirable object by dieting, weight lifting, etc. However, as long as the body remains an object to the ego, it may fulfill the ego’s pride, but it will never provide the joy and satisfaction that the “alive” body offers. It’s hard not to get overwhelmed with our chronically busy stressful lives. Lately, it seems more and more people are going through unusually difficult times. We all strive for peace, yet it remains elusive. We try hard to change our patterns, “I have learned from the past”, “I’m not going to repeat the same mistakes as my parents, I will do it differently, better…”, yet somehow time and time again we find ourselves stuck in the same place. Why is lasting change so difficult? In Living Ubuntu, we have a deep conviction that true, genuine change requires not only awareness and insight into the problem, but requires change in the body. Yes, the body. Our patterns, and behaviors are not just driven by our all-powerful minds, but are structured into our bodies. Sadness, loneliness, anger, overwhelm are not just experienced in our psyches, but show up as tension and pain in our body (belly, lower back, shoulders, jaw). This is why we incorporate body-centered methods (e.g. Bioenergetics, TRE) in most events that we organize in Living Ubuntu. All details are on our website. To create an emotionally safe space, we are limiting attendance to no more than 10 people. If there is any financial hardship, please get in touch with us. We are a not-for-profit organization and we will do our best to accommodate your situation. The Living Ubuntu Fall Retreat will be in Idyllwild, CA.